Frankly speaking, I never imagine that I will visit Turkey by my own someday. My friends and I have been discussed about our trip to Turkey for the past few years but then, we never materialise it to date. 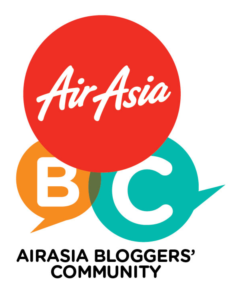 One of the main reasons is due to the airfares - most of the times the price of the airtickets to Istanbul from Kuala Lumpur were over our budget. Not until (again!) my friend who manages the Mytravelmatez FB Page shared with me about Singapore Airlines promo. All-in return fares from Kota Kinabalu to Istanbul for as low as RM2,100 which I personally think it's a great bargain. Informed my friends about this but because each of them are committed to their worklife, at the end I decided to go ahead to travel by my own. It's not like I had never experienced travel alone before, right? So without thinking any longer, instantly booked the ticket before the price increase. My motto, "Book first, think later". Thank goodness this time around my flights aren't delayed. Same goes to my luggage too - safe and sound reaching Istanbul. Still not yet recover from the worst nightmare I encountered from my previous trip to Europe alone last year (click here). Okay, now back to the main topic. Istanbul Ataturk Airport - which majority planes land here, including Singapore Airlines. 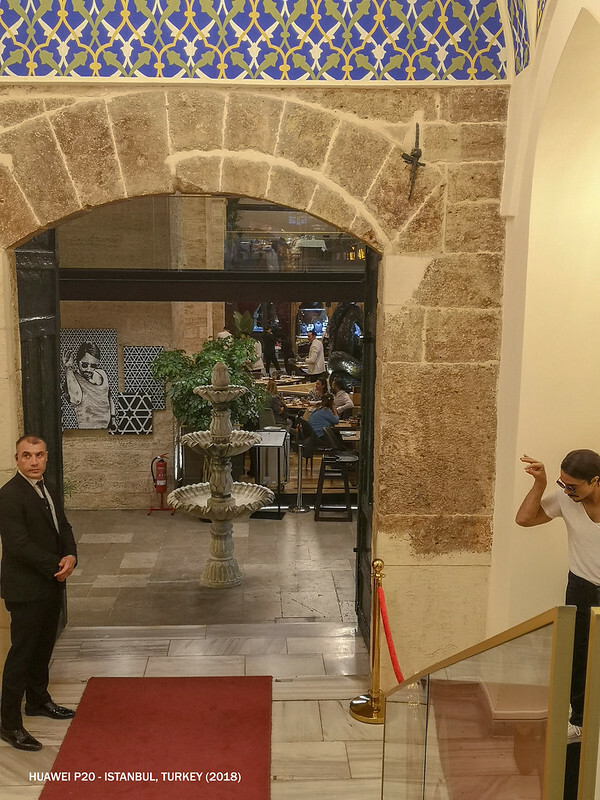 Generally, there are several ways to get to the city center from both airports, depending on which district you choose to stay. 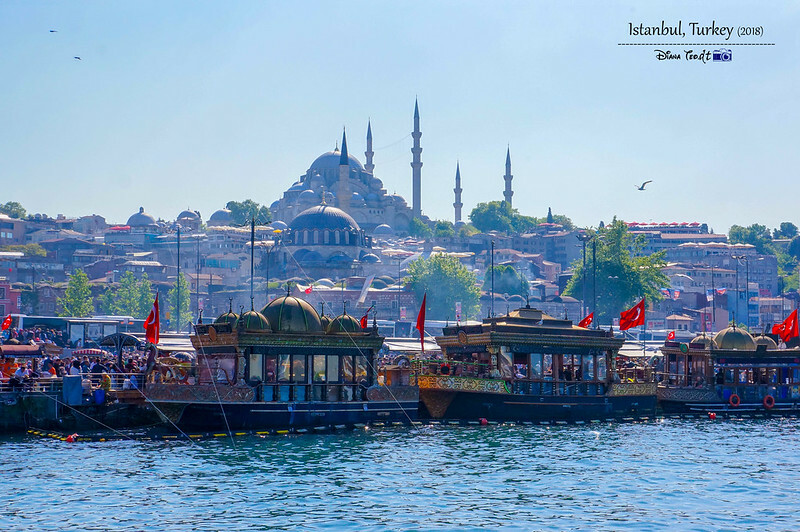 The most popular would be Sultanahmet (the old city where most of the famous historical sights of Istanbul are situated) and Taksim (the new city with lots of shopping and entertainment around). I chosen the latter one cause I can catch the early bus to Sabiha Gokcen International Airport. One way with Havatas bus from/to both airports cost TRY15 (approx. to RM15). No reservation is required (first come, first serve basis) and the fare can be paid on the board. 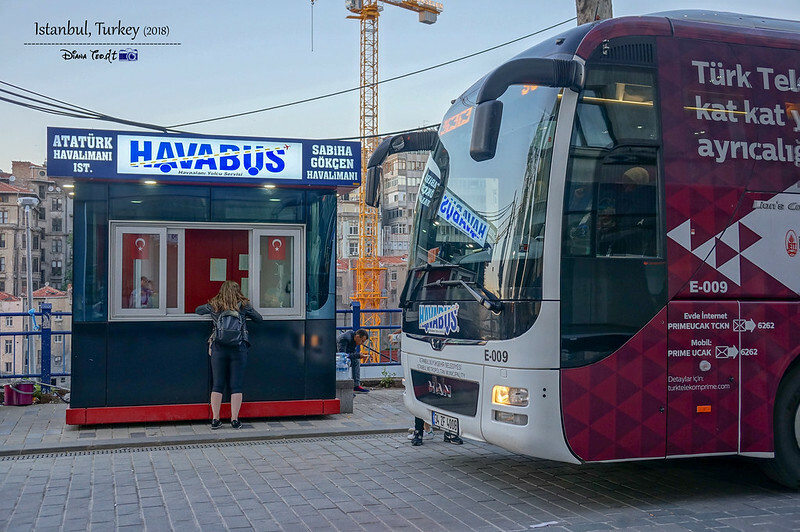 You can find this airport bus located very close to Point Hotel Taksim. To know more about the timetable, click here. 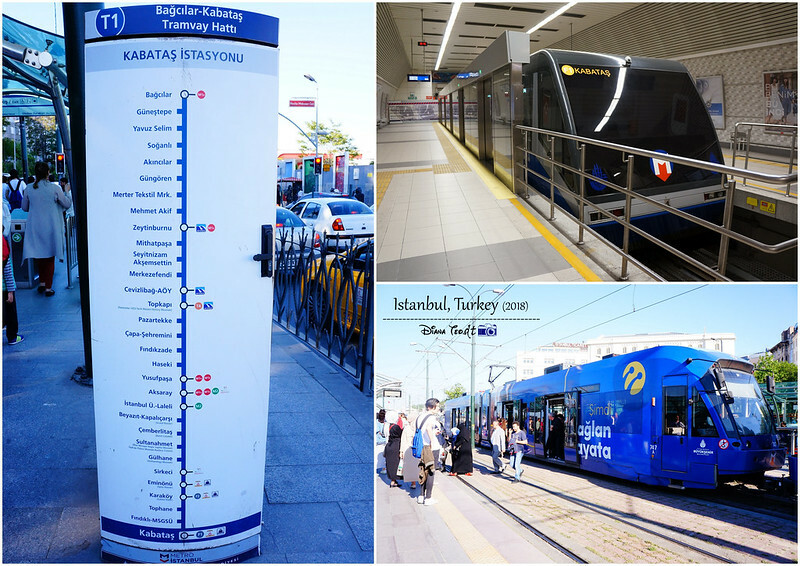 The second option is by taking metro which is slightly cheaper than taking Havatas bus. Just follow the "Metro" signs once get out from the international arrivals and it will lead you to -2 (minus 2) floor. From there, purchase the Istanbulkart from the machine before getting into the train. Well, I stayed in two different kind of accommodations when in Istanbul - mix of both hostel and hotel. 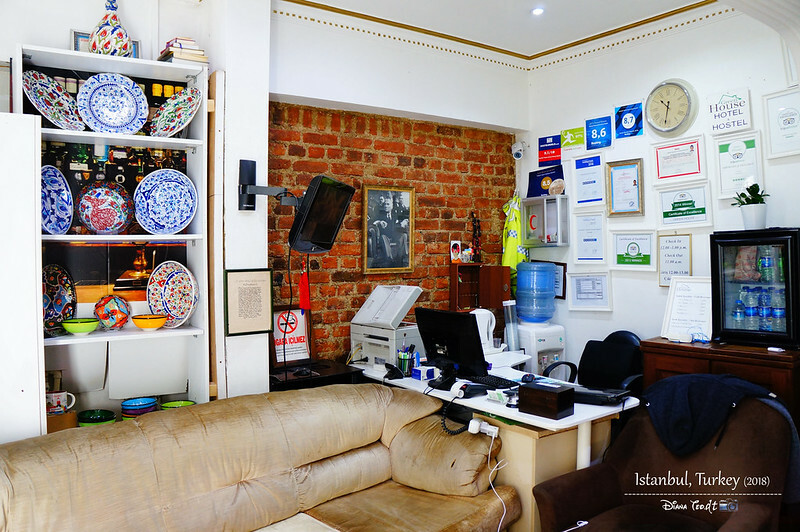 The first day I arrived, I booked to stay in Taksim Hostel Green House Istanbul. 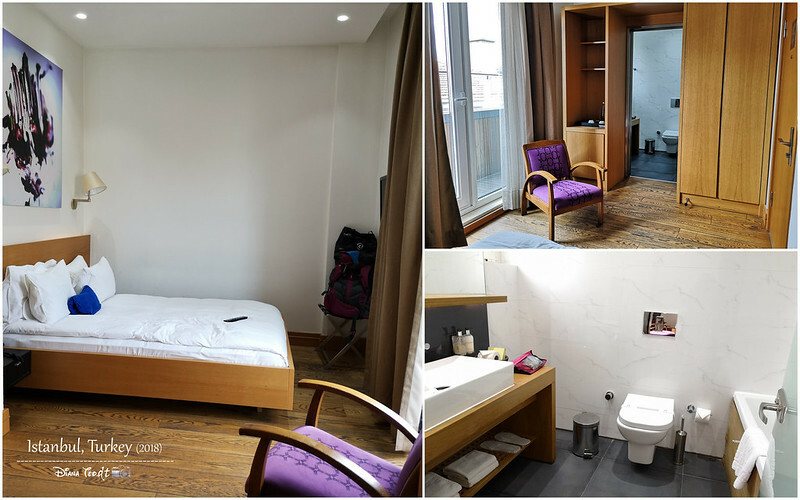 The hostel staff were pretty friendly and helpful cause by the time I reach the hostel, it wasn't the check-in time yet but he allowed me to use the bathroom. I was desperately need a hot bath after long hours of flight. Each bed comes with private locker, individual reading lamps and electric sockets. 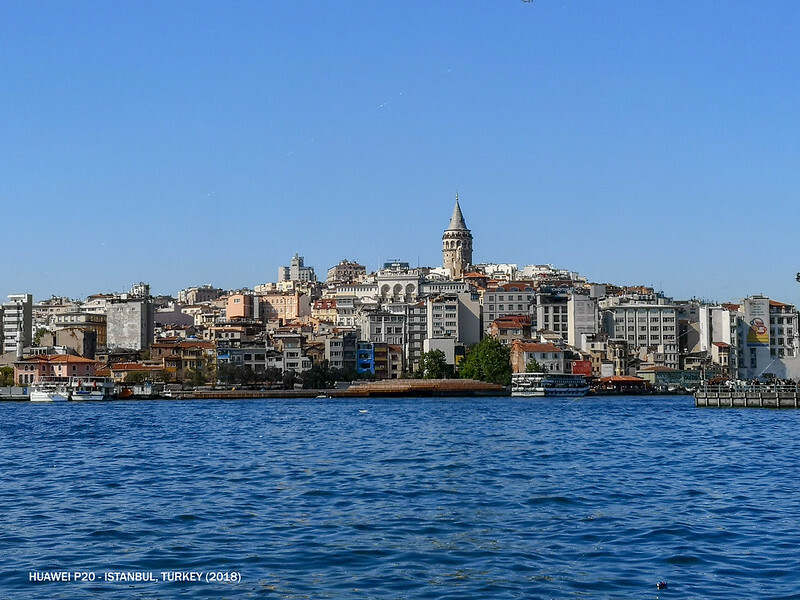 As for the location, it situated less than 10 minutes away from the Havatas bus stop - this is my main priority when searching for stay in Istanbul cause I need to catch my flight on the next early morning. Whereas for my last day before leaving Istanbul (after back from Bosnia & Croatia trip), I chosen to stay in Misafir Suites 8 Istanbul which I prefer to stay in this area. It's more happening and it surrounded by countless of shopping stores, restaurants, cafes and more. I have few hours to kill before leaving to Bosnia & Herzegovina on the next day. Therefore, I decided to visit few well-known historical attractions like Sultanahmet (aka Blue Mosque), Hagia Sofia and Grand Bazaar. I'm freaking love going to the bazaar. All of these are located at the touristic heart of Sultanahmet. So from Taksim Station, I took funicular to Kabatas. Get off and I changed tram to Sultanahmet. Sounds complicated? Sure it does and I admit I lost my way on the first day. 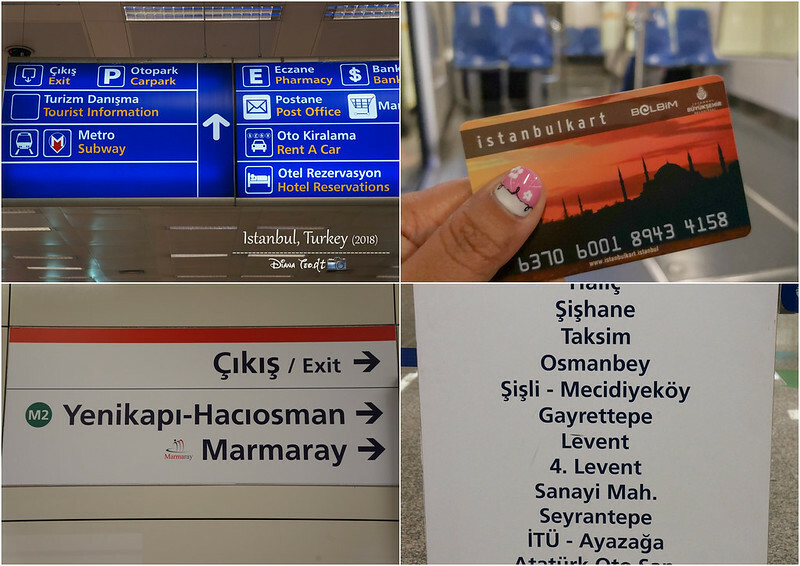 Taksim Station → F1 Funikuler Kabatas → Tram to Sultanahmet using Istanbulkart which I bought from the airport earlier. 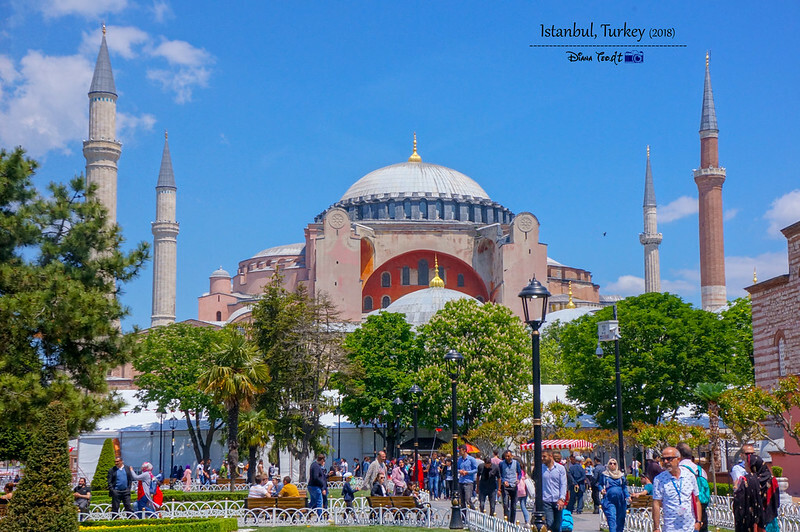 Once arrive at Sultanahmet stop, it's short walking distance to Sultanahmet (aka Blue Mosque) and Hagia Sofia cause both are located side by side. 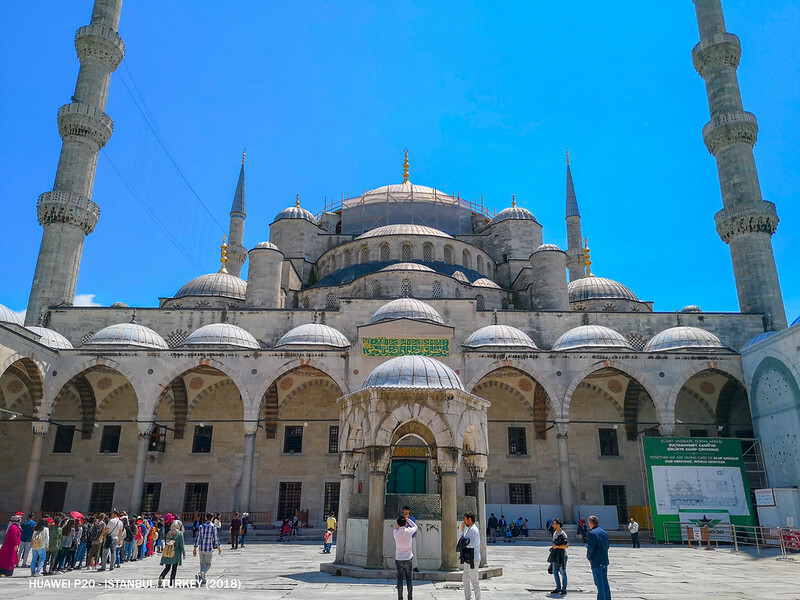 A trip to Istanbul is incomplete without visiting these two historical mosques. Sultanahmet - Also recognised as the Blue Mosque by most of the tourists who visit this mosque is mainly due to its blue tiles surrounding the walls of interior design. The mosque is open to all public including the non-Muslim visitors but do take note of the prayer time cause the non-Muslim visitors are required to leave here. Hence, it is advisable to arrive in the mid morning. As for the entrance fee, it is free of charge. In addition, there is a dress code for both men and women but don't worry in case you are not aware of this cause you can rent for free at the Blue Mosque entrance. Hagia Sofia - Not far away from Sultanahmet, this mosque is also locally known as Ayasofya. It's consider to be one of the most impressive sight in Istanbul and I have to say that I love this architecture more than the previous one. As a matter of fact, Hagia Sofia was previously a church before converted into a mosque. And now, it's a museum at the Turkish Republic. However, I didn't manage to enter and visit it cause the queue was pretty long. 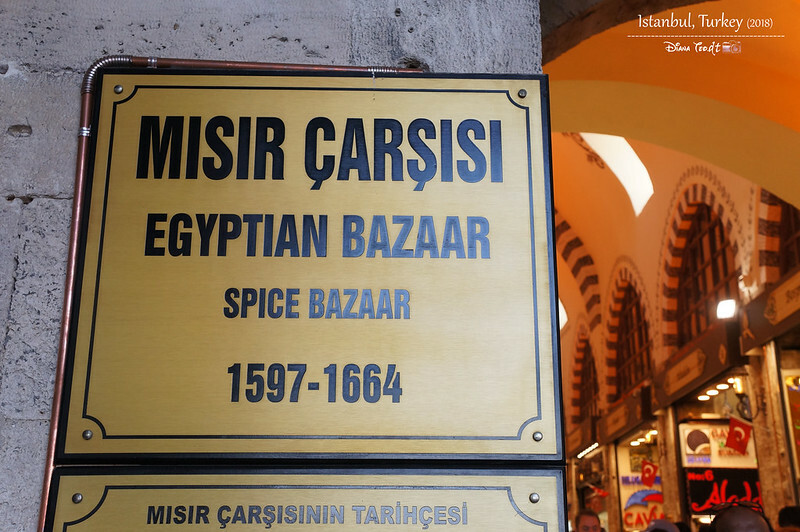 Spice Bazaar - Initially I went Grand Bazaar and only to find out it was closed on Sunday. It was indeed waste of time cause I keep searching for the entrance for almost an hour until the local told me. Silly me! 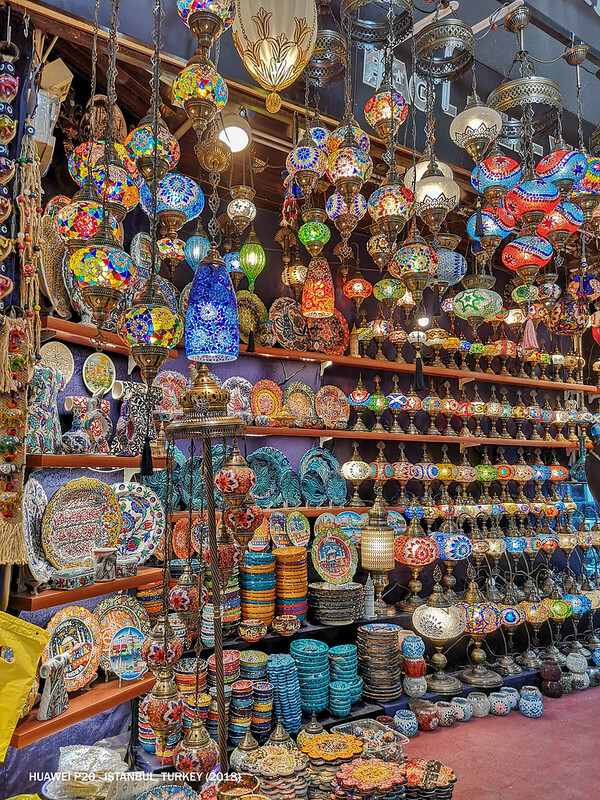 But luckily I found there is another bazaar not far away from Sultanahmet which is the Spice Bazaar. 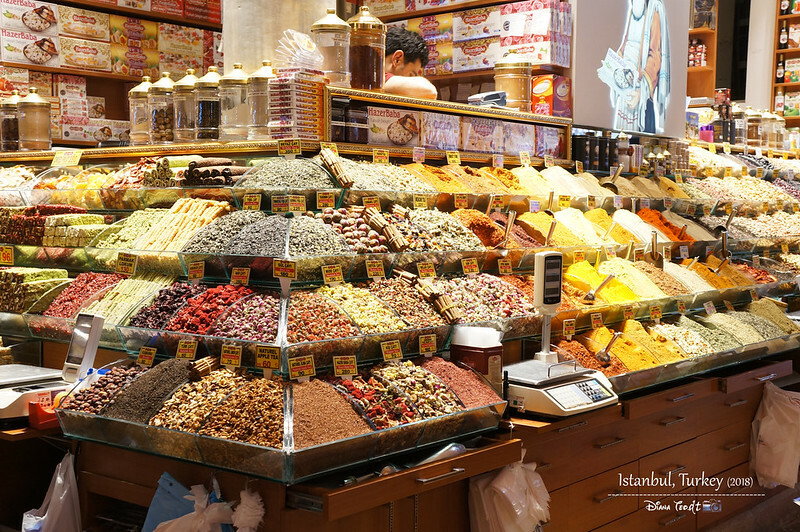 It is one of the largest bazaars in the city offering Turkish delights, various spices, caviar, dried nuts and more. 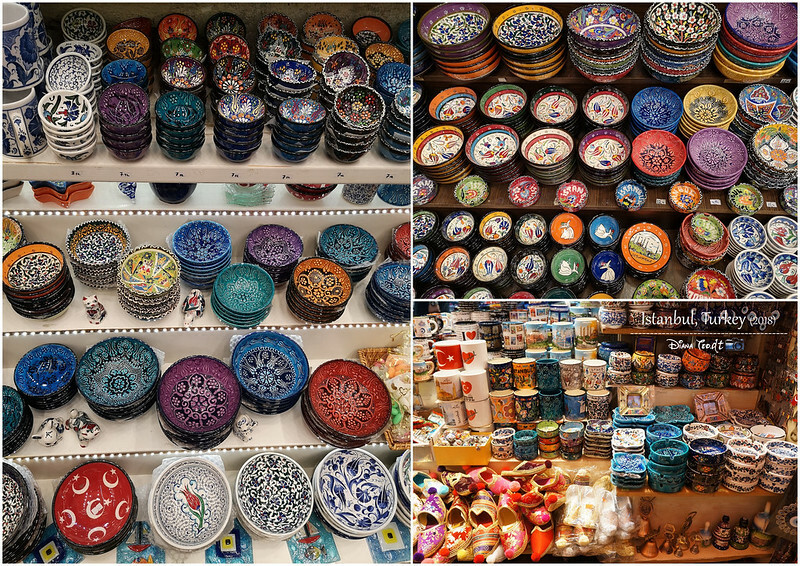 However, I found the things sold here are more pricier than Grand Bazaar. 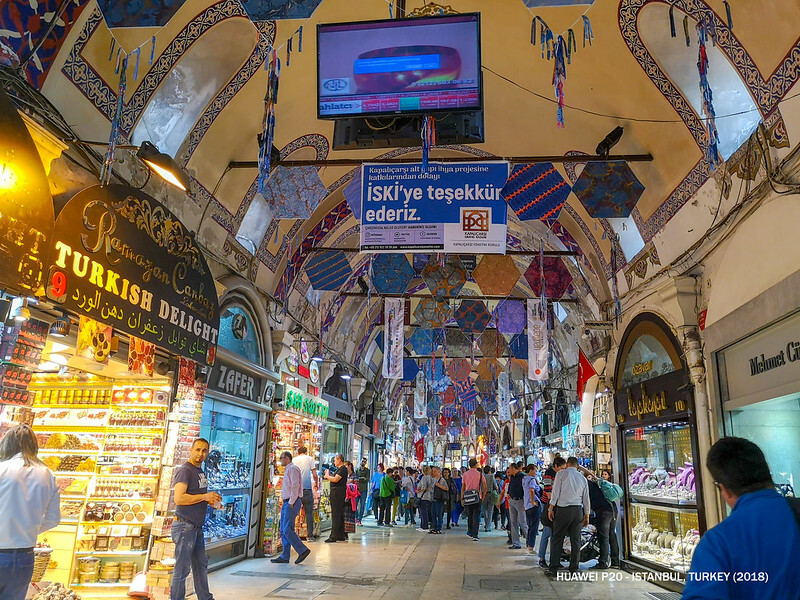 Grand Bazaar - Since I missed this one on the first day, die-die must go and try my luck on my final day. Thank goodness it opened. 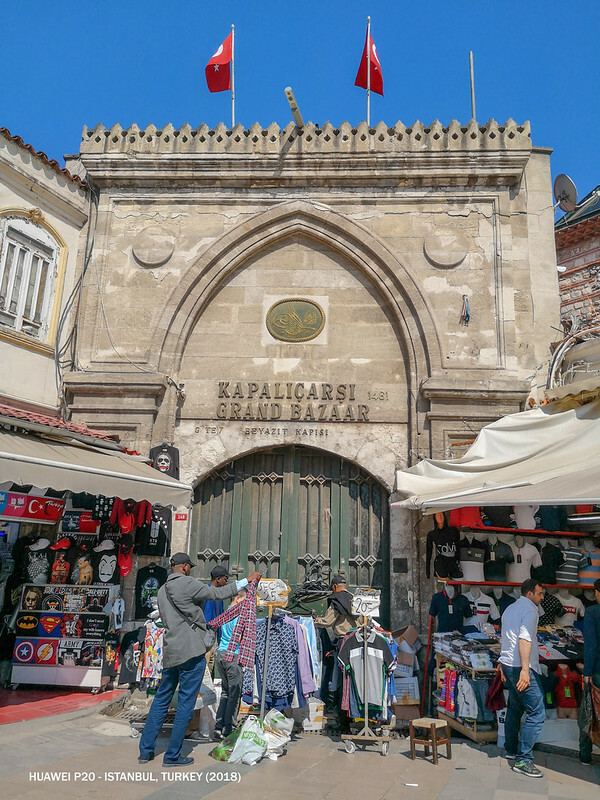 Immediately I went in and discover what this largest and oldest covered market in Istanbul has to offer. 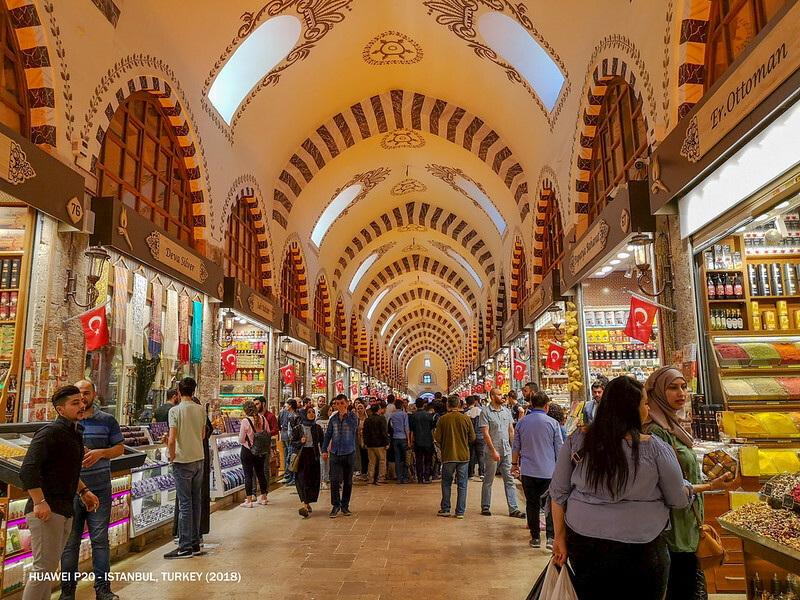 Of course, can't deny the things sold here are almost identical to Spice Bazaar but I enjoy the shopping environment here and the price tend to be slightly cheaper. I did my last minute shopping here like buying fridge magnets, pouch and even Turkish ceramic bowls. Galata Bridge - Just a short walk from the Spice Bazaar, I walked across the Galata Bridge. This iron bridge was one of the city's landmark built on the Golden Horn, the ancient harbour of the city and it has featured in Turkish literature, theater, novels and poetry. If you are looking for a spot for sunset viewing in Istanbul, this would be an ideal place. Feeling so serene and calm standing on the bridge while catch a glimpse of the local colour and character as well as watching those ferries and boats across by. What a fascinating experience! 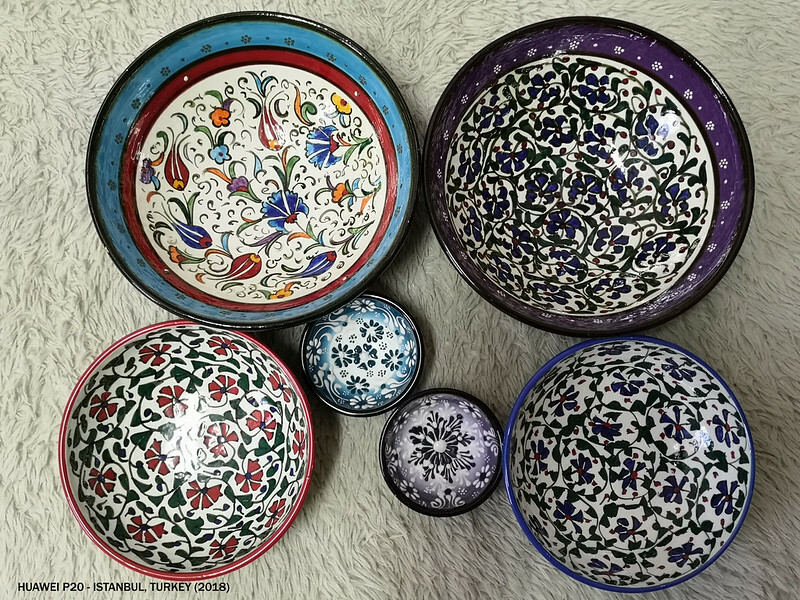 Like I mentioned earlier, I did most of my shopping at Grand Bazaar and I bought things like fridge magnets, various size of Turkish ceramic bowls, shawls and so on. 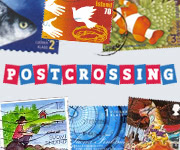 Postcards for the priced of TRY3 for 10 pieces. I got at the newspaper stand nearby Sultanahmet. 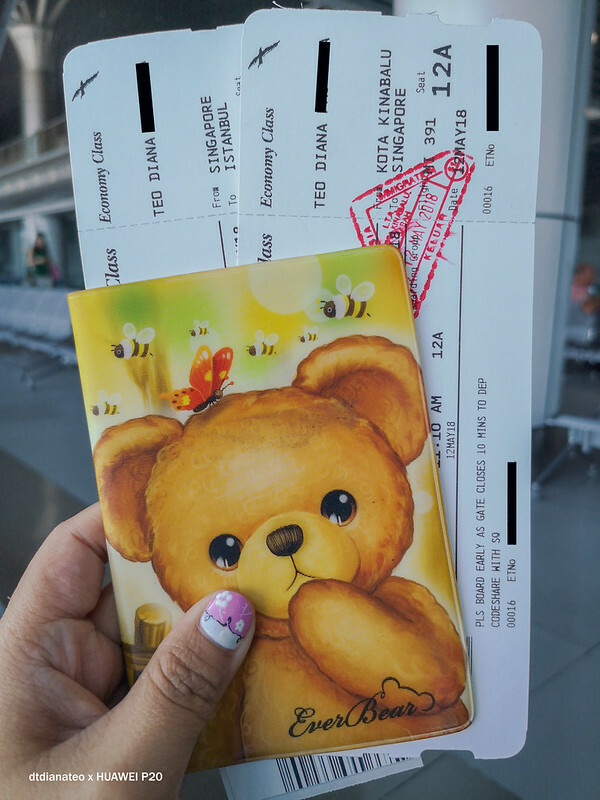 As for the stamp, it cost TRY4 each and I bought from Ataturk Airport. 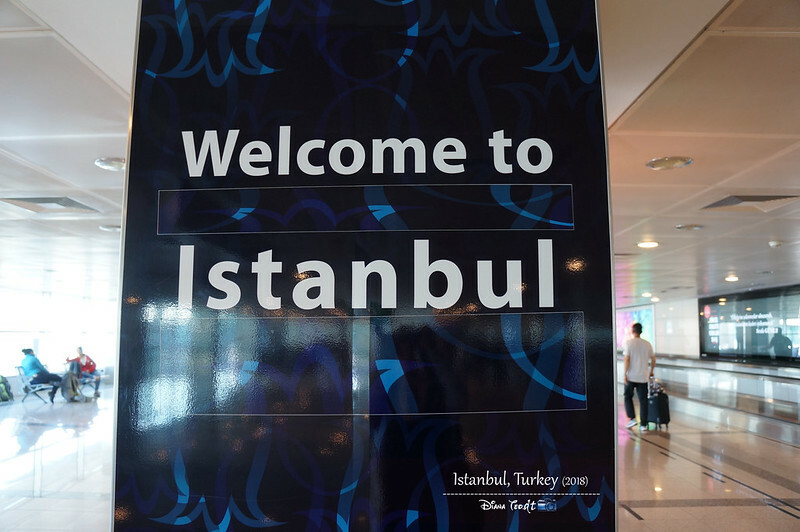 IS IT SAFE FOR FEMALE TO TRAVEL ALONE IN ISTANBUL? 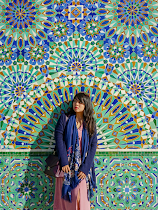 Quite number of my friends and also readers actually asking me whether is it safe for a female traveller to travel by her own in Istanbul and I am proudly to say, YES! I can't comment for the rest of the cities of Turkey cause I haven't been yet but so far from my personal experience, I found it is pretty safe to wander alone around Istanbul. 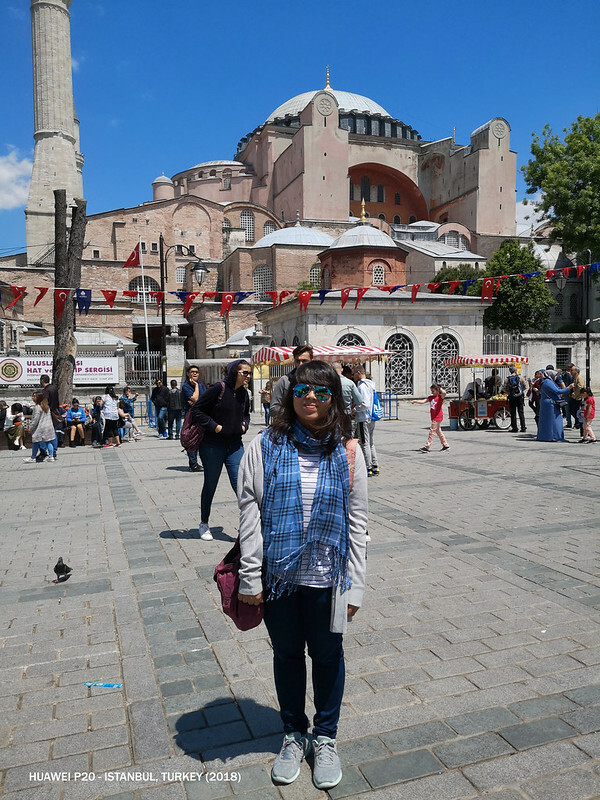 I even bumped into a Singaporean female traveller who travel alone in Istanbul and other cities of Turkey. 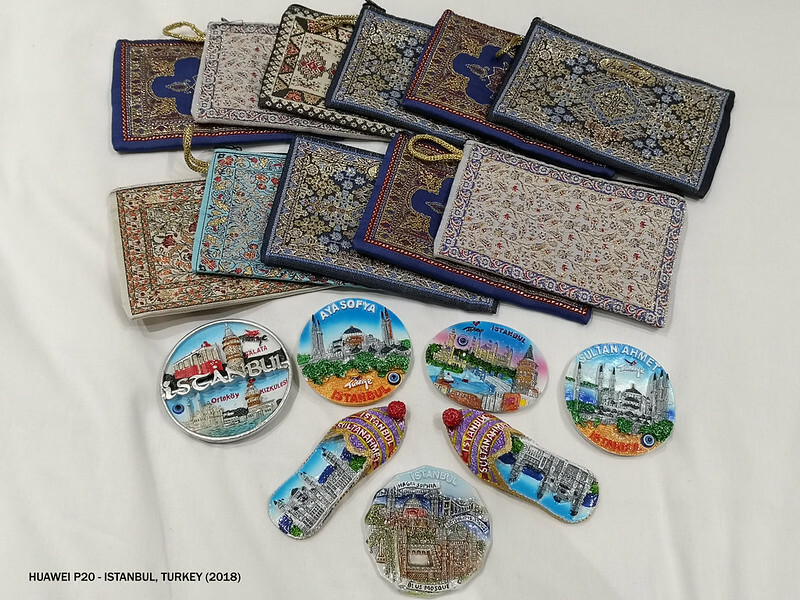 Just beware of pickpockets especially inside the public transport and also crowded places like Sultanahmet and the bazaars. 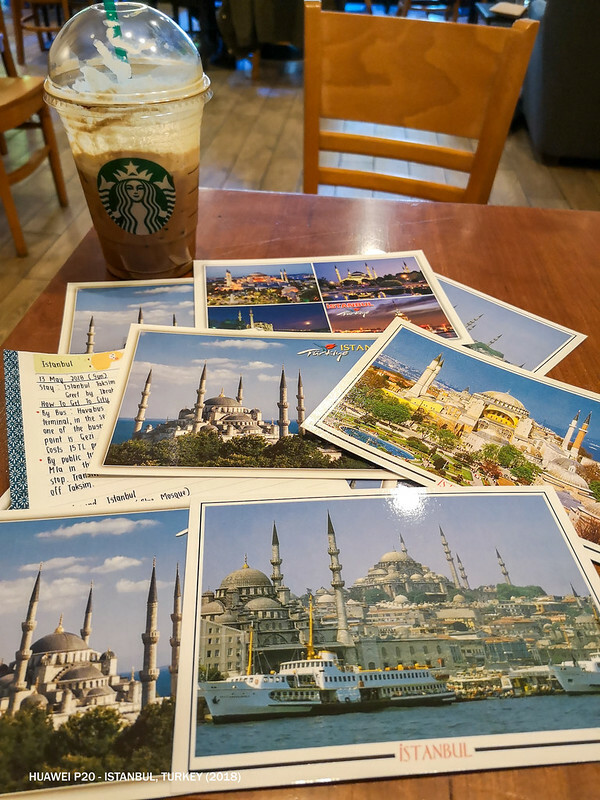 Been planning with man on going to Istanbul. Wow. You are fearless to travel by yourself. I don't have such gut. Lol. Their bazaar place is amazing. So much to see and buy. I will go shopping-crazee too if I enter their bazaar! I love the magnets, bowls and assorted nuts. I could eat one pail of their mixed nuts in front of the TV. So many friends told me that I would Istanbul including my late father who visited there in 1962!! They say it's beautiful and exotic. I also read your post. Great post and great information thanks for sharing us.